New injection treatment Belkyra promises to destroy fat cells that cause double chins! The molecule was first trialled by dermatologists in Australia a decade ago before the tech was released in the United States in 2015 as Kybella. It is now also available in Canada, Australia and parts of Europe. While some gain the second chin when they age, and others when they put on weight, the third group of people are genetically programmed to get a double chin even if they stay very slim, Hart said. The number of fat cells in the body is set early in life – usually around puberty, Hart said. The treatment takes about 20 minutes, and for most people, it involves 20-40 injections. Patients’ chins tend to swell up for weeks afterwards as the lymphatic system removes the destroyed fat cells, which are excreted. A second treatment is due after about eight weeks. In some cases, a third treatment might be needed. MedSafe lists more serious, though rare, side effects. They include possible allergic reaction, trouble swallowing, an uneven smile, discolouration, ulcers or taste disturbance. “It’s a pretty quickly developing area of medicine – and it’s powerful. 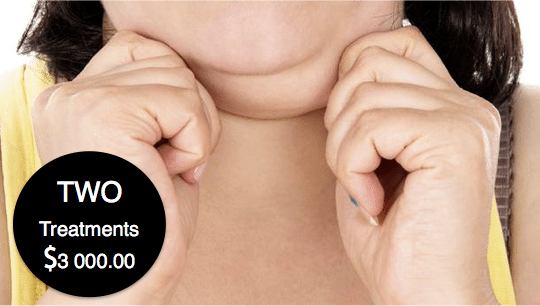 Contact us to find more about Belkyra double chin treatment.